Good Friday Services should not start till after 12 pm, but ideally at 3 pm when Jesus died on the cross. There are 4 parts of this service. 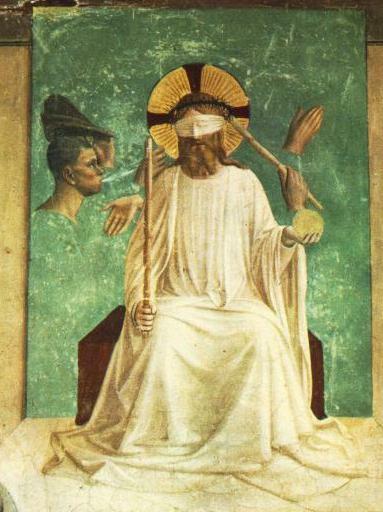 1) Readings and The Passion Narrative according to St. John. Need black stole. Need rug on floor before altar to prostrate on. Process in with altar boys and prostrate in prayer. Then standing and facing altar priest prays the opening prayer. Then he reads from Prophet Osee, Tract, Kneel, get up, Collect, lesson from Exodus, Tract, Passion Gospel. Print up the passion in what ever language the people speak so they can read along with the readings and Gospel. 2) The Great Intercessions. Need Black Cope, Altar Cloth. While vesting into black cope at sedilia, the altar boys put the altar cloth on altar and the Missal in the middle of the altar. Intercessions are prayed, all kneel and arise for second part of prayer. Then remove Cope,at sedilia. 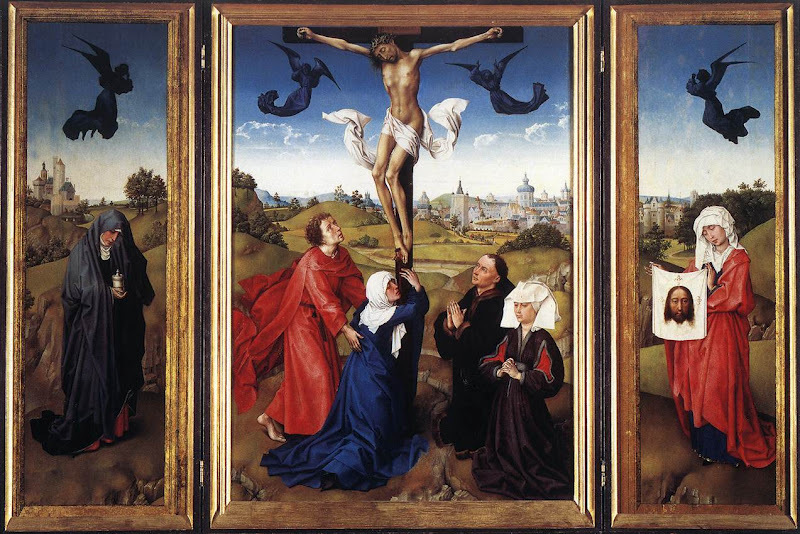 3) Adoration of the Cross. Need large crucifix, black stole, purple crucifix covering, 2 candles, purificator to wipe crucifix after being kissed. Priest with altar boys bring the veil crucifix out of sacristy with two candle bearers to the Epistle side of the altar down on floor level (facing people) and unveils the upper part of the crucifix and says “Behold the wood…”. Then he then ascends the steps to Epistle side and unveils the right arm and repeats “Behold the wood..”. Then he goes to the middle of the altar and totally unveils the crucifix. “Behold the wood” Then he gives crucifix to 2 altar boys and goes to sedilia to remove shoes. Two altar boy hold the crucifix with the two torch bearers kneeling on each side of the crucifix and candles on floor at each side of crucifix. The priest takes off his shoes and genuflect 3 X, one at entrance of sanctuary, one in middle and one before crucifix. He then kisses the feet of Jesus on the Cross. Then the altar boys genuflect 3 X too like priest and kiss the feet of Jesus. Priest goes to sedilia to put shoes back on and is seated. Then the crucifix is carried by 2 altar boys to entrance of sacristy for the faithful to adore. The adoration begins with men and boys, then women and girls. They only genuflect one time before kissing the feet of Jesus. Crucifix is then leaned up against the altar and candles place on altar. Priest then changes takes off black stole and puts on purple stole and chasuble at sedilia. He goes up to altar where he puts crucifix as far up on altar as possible so he can approach the altar for Holy Communion and puts out corporal. 4) Holy Communion. Needed are a purple stole, purple chasuble, purple humeral veil, purple burse, and corporal (which is already placed on the altar), clapper, paten. Missal is place on Gospel side of altar close to the center. The priest goes to sacristy and puts humeral veil. He then goes to the altar of repose and brings the ciborium to the altar, accompanied by 4 altar boys, 2 will bring two more lit candles in procession with ciborium. The priest places ciborium on the corporal and altar boys place the 2 more candle on altar (4 candles are lit on altar). Priest goes down and kneels while humeral veil is removed. Then goes back up to altar and stands at middle of altar. Prays the Our Father and other prayers. 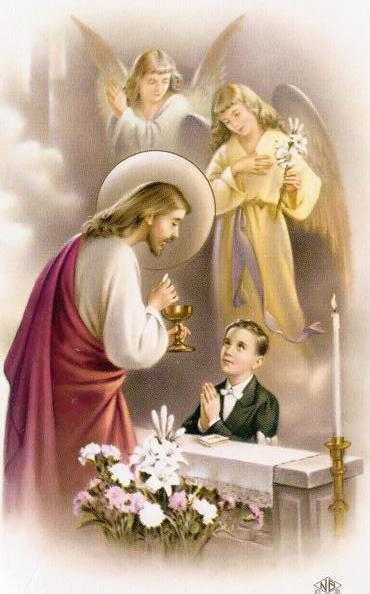 After the “Domine non sum dignus” Holy Communion is given as at Holy Mass. Clapper is used instead of bells when priest says “Domine non sum dignus” 3 X and when showing Holy Host to faithful again “Domine non sum dignus” 3 X. The Eucharist is given to altar boys first after their Confiteor. Then to the people and replaced in the tabernacle. The vigil lamp is lit and put in place. He says the final prayers, descends, genuflects with altar boys and processes to the sacristy. After the people have left, the ciborium is replaced in the tabernacle of the altar of repose till Easter Mass. Altar is then stripped without ceremony.